As we are all very aware, Cape Town is experiencing very serious drought conditions. So we have listed some water saving tips for offices and apartments. 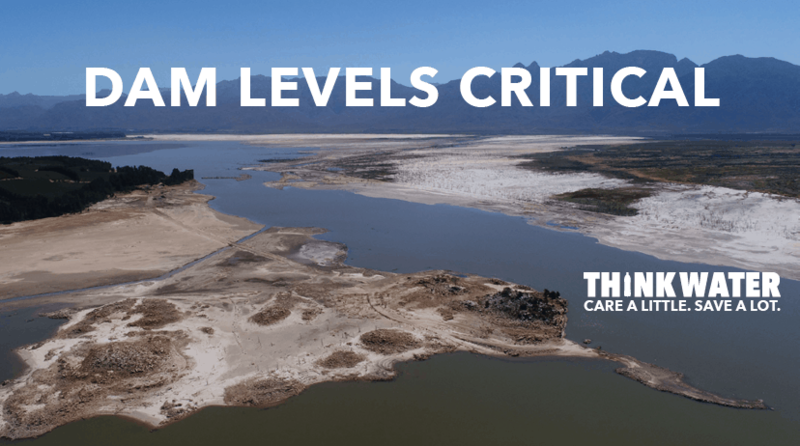 Level 5 water restrictions have been implemented, further water pressure reductions has commenced and high water users have had water management devices installed by the City of Cape Town in an attempt to stop them from using too much water. According to the City of Cape Town, water usages is currently at 599 million litres per day where the goal is 500 million litres per day. Judging by those figures, usage and dam levels, Cape Town will surely run out of water if something is not done urgently. Desalination and underground water extraction is being investigated by the City and apparently requests for tenders have been sent out. The big question is, will it be completed in time? Now that we have some background about the drought situation. As a cleaning company we also make use of water and we are very aware about the situation. We also communicate to our clients and team about water saving methods that can be used in offices and at apartment blocks or complexes. Here are a few tips that can help to reduce water usage. Check for leaks on taps, pipes and geysers. Install low flow water aerators. Never let the tap run whilst cleaning dishes. Rinsing fruit and veg, use a bowl over a period of time to rinse fruits and veg. That water can eventually be used for flushing toilets. Stop bathing, take short showers instead and allow your shower water to run into a bucket. This water can be used for flushing. If you have a garden, use your shower water for watering purposes. Where possible, allow your washing machine water to run into the bath or a large enough container and use the water for flushing, watering the garden or even cleaning tiled floors. If you see water leaks around your apartment complex. Report them immediately to your building manager. Any leftover grey water, offer this to your cleaner on site, this can be very valuable for the cleaning of bins and floors around the common areas. Encourage neighbours and friends to save water and use these techniques. If your Body Corporate has saved enough money, install a rain water harvesting system where the water collected can be used for irrigation, keeping the refuse bins clean, top up the communal pool and also clean tiled floors and windows. Most of the items listed above can also be used in the office environment. Educate staff in the office about water conservation. Install water-less hand sanitising stations. Place a container in the sink where hands are washed, use that water for flushing toilets or cleaning floors. Put up signage around the office and the restrooms. Install low flow water aerators. If your offices are free standing, install a rain water harvesting system that can be used for all your water requirements around the office. Cleaning of vehicles: find a water-less car wash or purchase water-less car wash chemicals to clean your vehicles instead of using drinking water. We trust that you will find some of these tips helpful during this critical time.